A caudle is a thick, sickly medicinal drink, described in one journal as a ‘syrupy gruel with spices and wine or ale added and thickened with egg yoke’. It sounds like something the Owl and the Pussycat might have taken if either of them were a bit chesty. Unfortunately though, as far as we know, it afforded no protection against the deadly ‘Spanish Flu’ virus of 1918-19 which claimed the lives of an estimated 40 million people around the world. Its certainly an usual moniker and not one commonly found in Summerstown, but William Henry Caudle is on our war memorial. The local address which connects him to it is just a stone’s throw from the church, 857 Garratt Lane, in fact almost directly opposite the old vicarage. This is the address on his Commonwealth War Graves Commission documentation as being the home of his next-of-kin, his wife Florence May. 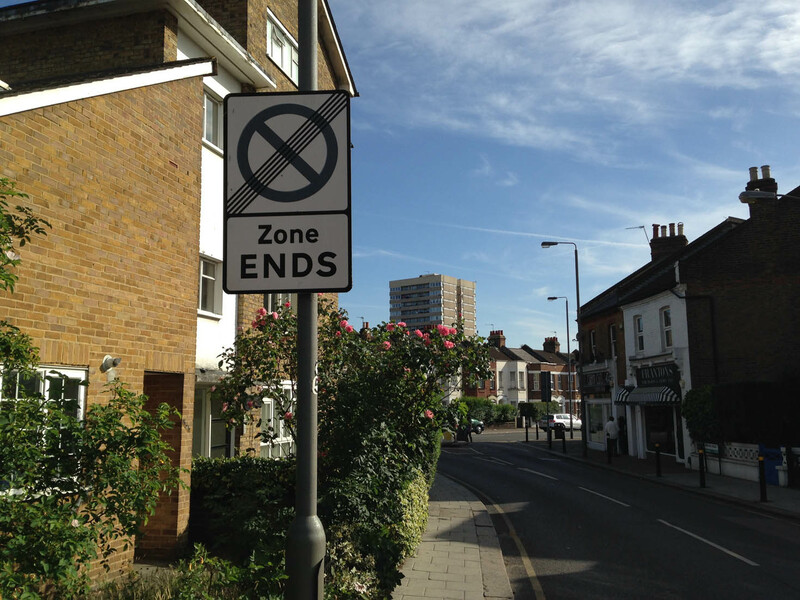 It is on the Aboyne Road junction with Garratt Lane, though whether it was as hectic in 1912 as it is now is very unlikely. 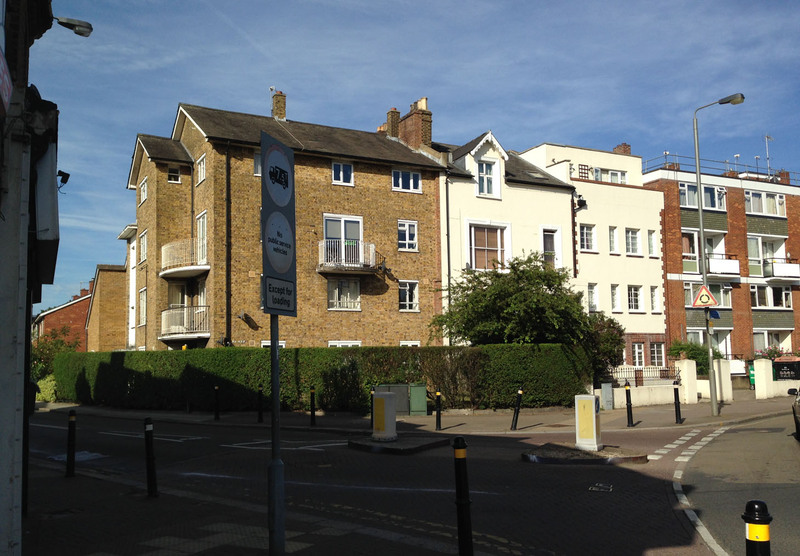 The original 857 house has gone, though 859 still stands, quite a tall imposing house with a prominent position overlooking the Wimbledon Road roundabout. Now Aboyne Road is a handy cut-through on the way up to Burntwood Lane but then it would have been the gateway to the farms beyond Garratt Green and the old Springfield Hospital ‘asylum’. William came from a long line of bootmakers in Gloucestershire. 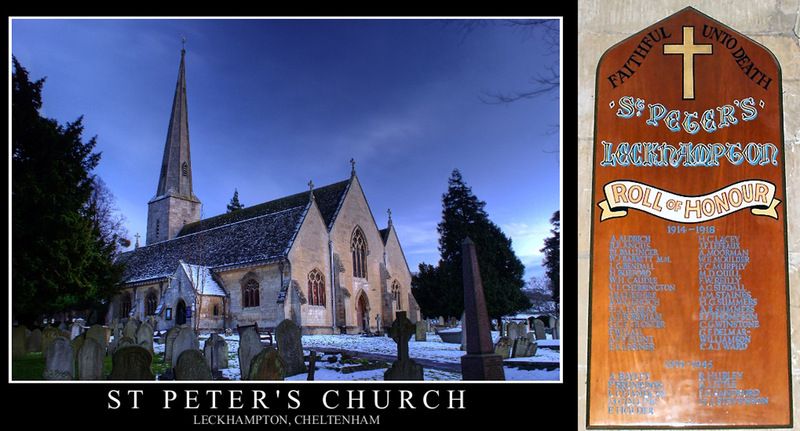 He was born and raised in the village of Leckhampton, south of Cheltenham in 1886 and is buried there in St Peter’s Churchyard. His father Frederick must have made quite a success of his boot and shoe business as when he passed away at the age of 77 in 1929 he left quite a pot of money. His older brother Frederick John, followed his Dad into the trade which probably meant that William had to look for some other way of making a living. When Frederick died in 1938, an article in the Cheltenham Chronicle mentioned that he ‘had, for many years, had a boot and shoe making business in Bath Road previously carried on by his father and his grandfather before that’. Their shop on Upper Bath Road had been the trading base and Caudle home since John Caudle established it in the mid 19th century. Some of the profits from the boot trade were perhaps used to give William a good education at Cheltenham and Pates Grammar School. That apppeared to set him on the road to a solid pen-pushing career and by 1909 he was in London and working for the council. William got married to Florence May Nelson in Brixton in April 1909 and by 1911 they were living at 31 Okeburn Road, Tooting, one of the houses on the then recently completed Totterdown Fields Estate. 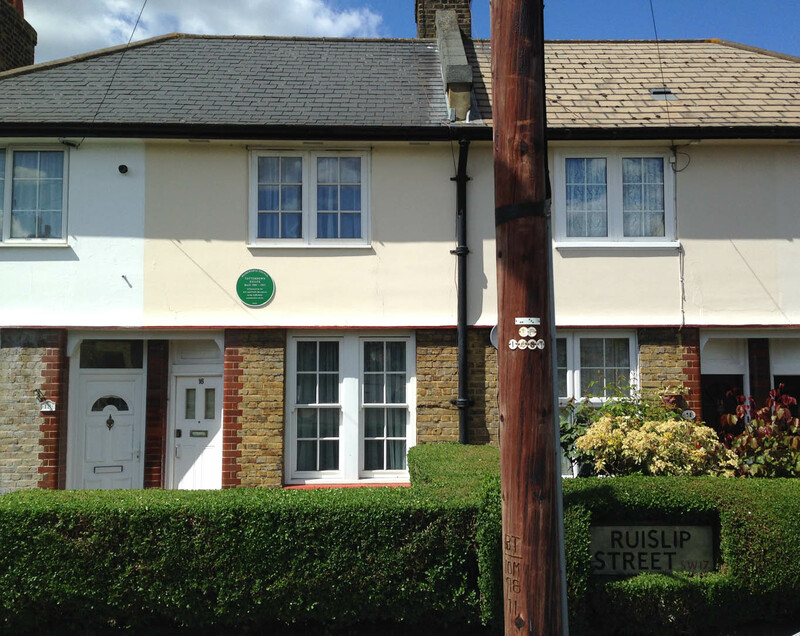 Not too far in fact from Ruislip Street, where a Green Plaque commemorates the construction of this ground-breaking Arts and Crafts development which provided homes for 9,000 people. 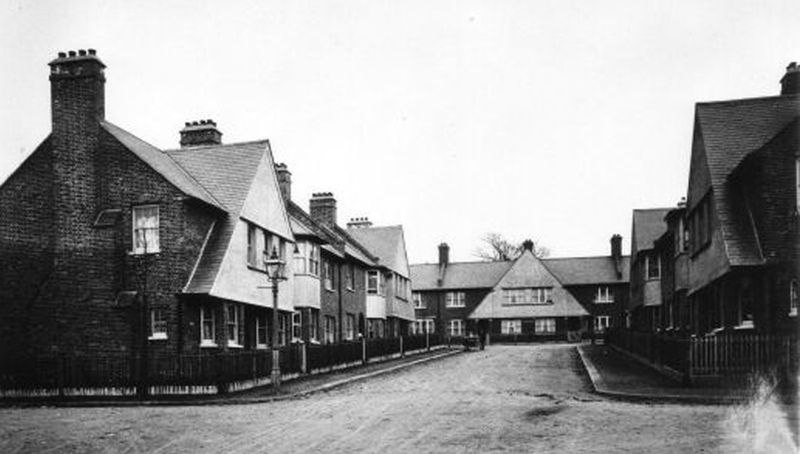 A guided walk around this fascinating location with Janet Smith from Tooting History Group is essential for anyone with an interest in social housing in this area. William worked for the LCC Education Department as a Clerk Major, Class 2, no less. They had three daughters Rhonna, Charlotte and Gertrude. Rhonna died in Worthing in 1995 aged 85.Charlotte was born in 1913 and Gertrude Hope Caudle arrived five months after her father’s death. After William died Florence married Joseph Barrow in 1927 and they had a son called Roy. She died in Maidstone in 1969. 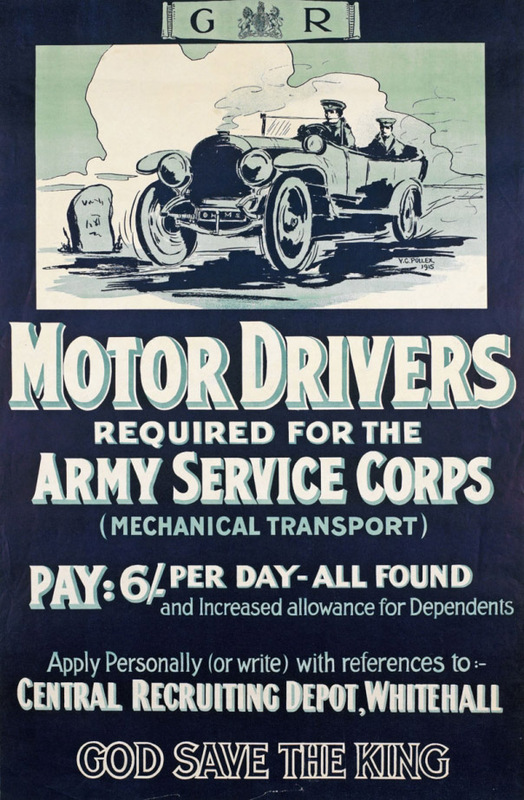 With the recruitment drive of 1915 reaching fever pitch and conscription just round the corner, William joined the Army Service Corps in Tooting on 10th December 1915, shortly before his thirtieth birthday. Curiously he gave his occupation as play writer, in fact even more specifically ‘cinema playwright’. Quite why a well-educated and seemingly high-flying clerk decided to change direction is anyone’s guess. The War, was a big adventure, a new beginning, an escape from reality. Open your eyes, look up to the skies. Cinema had barely been invented but The Biograph Theatre, London’s first licensed cinema, was just down the other end of Garratt Lane and perhaps that provided an inspiration. He was still living in Okeburn Road and we can’t be sure if the family moved to 857 Garratt Lane before or after his death. 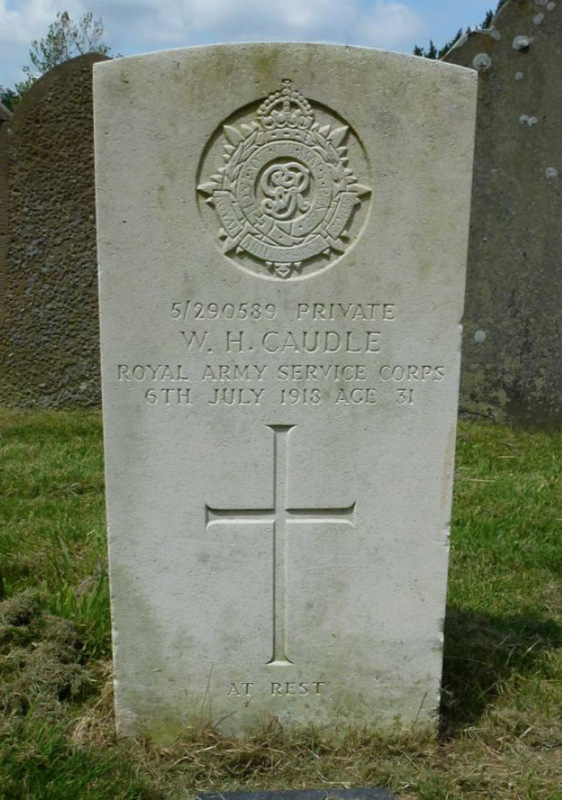 William Caudle was aged 31 when he died of double pneumonia on 6th July 1918 at Prees Heath Military Hospital in Shropshire. Exacerbated by conditions in the trenches and the unprecedented movememts of large groups of people, the ‘Spanish Flu’ pandemic of 1918-19 famously killed four times the amount of people who lost their lives in the First World War. Prees Heath near the small town of Whitchurch was a major military training centre, with up to 25,000 troops on the site at times. 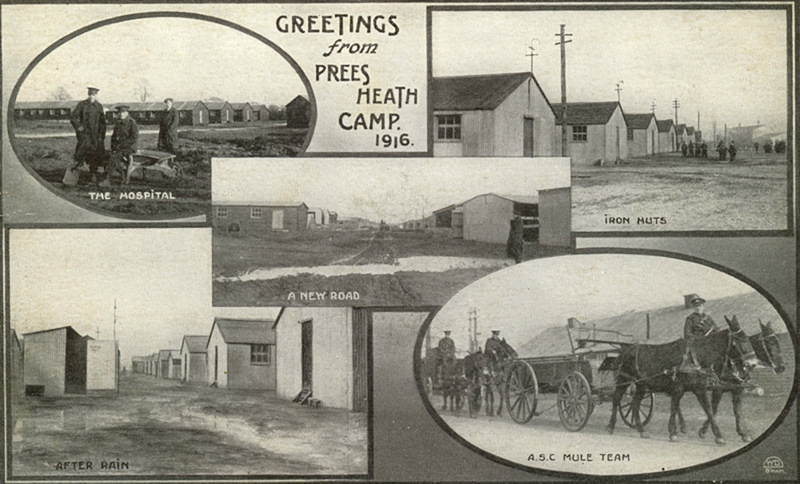 Postcards were provided and many have survived giving a good indication of what the camp was like. One man stationed here, who may well have brushed shoulders with William Caudle was a Norval Sinclair Marley, who thirty years later in Jamaica, fathered the legendary reggae star Bob. The camp was used to intern so-called enemy aliens and Italian POWs in the early part of the Second World War. It then became an airfield and was the home of Manchester Free Fall Club, and where myself and two pals did a parachute jump in 1986. William is buried with other members of the Caudle family in St Peter’s Churchyard, Leckhampton and is commemorated on a roll of honour in the church as well as the war memorial in the village. 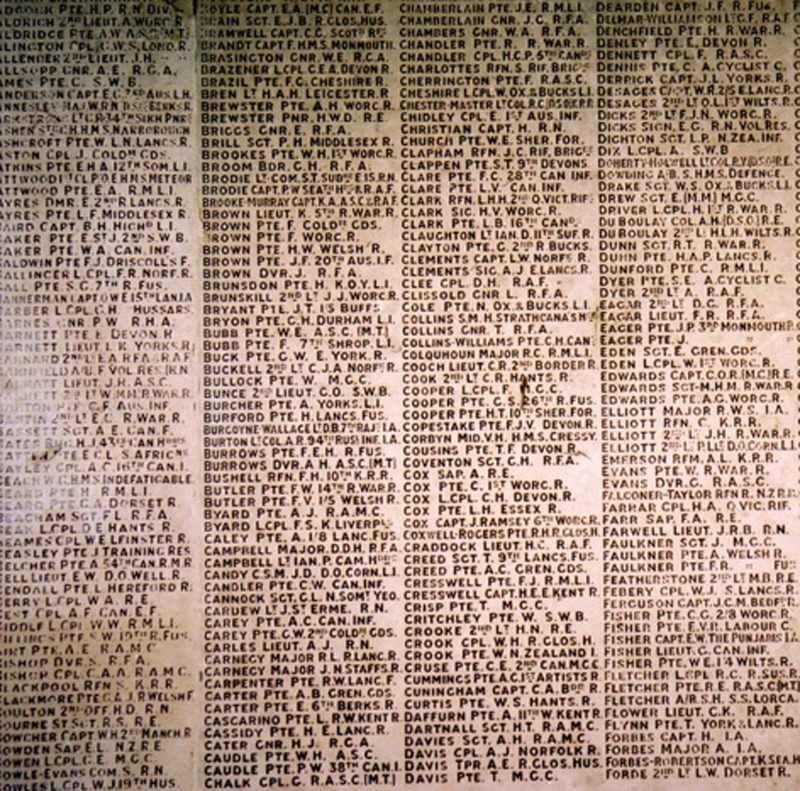 He is also one of 73 names on the First World War roll of honour at Cheltenham and Pate’s Grammar School. To add to that, his name is inscribed on the main Cheltenham war memorial. If you include his grave, this well-commemorated member of the Summerstown182 is remembered in no less than six places. My grandfather Frederick, William’s brother, was the last bootmaker at that address – a very interesting article.